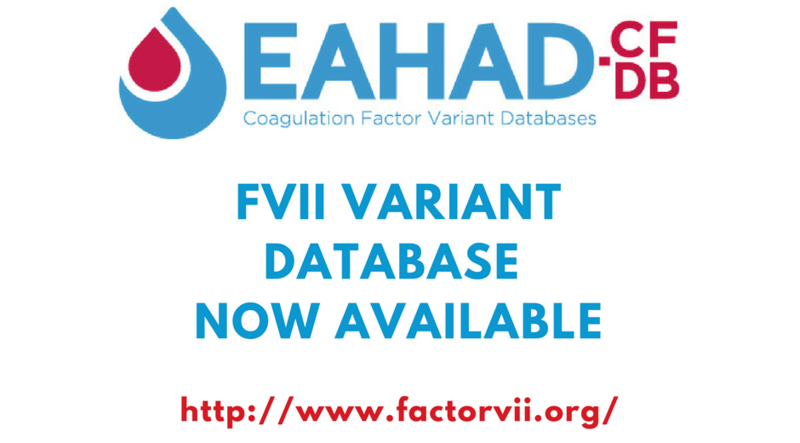 The EAHAD-DB F7 Variant Database is now up on the web and is available. This has been a major project for the EAHAD-DB Steering Group as the level of complexity is much greater than for variants in the F8 and F9 genes which result in haemophilia A and B. This is partly because there are two F7 genes per cell (being an autosomal disorder) and also because factor VII plasma levels are associated with some common polymorphisms.